Not all of Saskatchewan consists of flat prairie farmland, although the province is smack-dab in the middle of Canada’s “Prairie Provinces”. 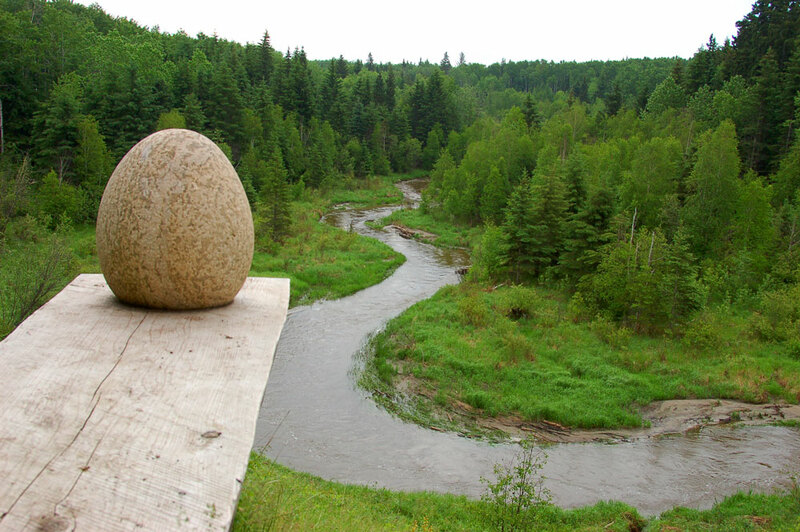 As we went north from Saskatoon towards the mining and lumber town of Big River, west of Prince Albert National Park, the geography changes to aspen forests bisected by rolling fields and deep river valleys. Known as Waskesiu Wilderness Region, this is Black Bear and Bison country. It’s wild and beautiful. We found two great places to camp in this area. We pulled in to the Nesslin Lake Campground for a fish-fry and to visit with some new friends we had met at a conference in the city. This was just before the infamous floods in southern Alberta and the entire beach was covered in water. Which meant we didn’t have far to go to set a canoe in the lake. I toured the campground to take pictures in the fading evening light. Besides the areas for pitching tents and the fifth wheels tucked away in the bush, I discovered yurts. 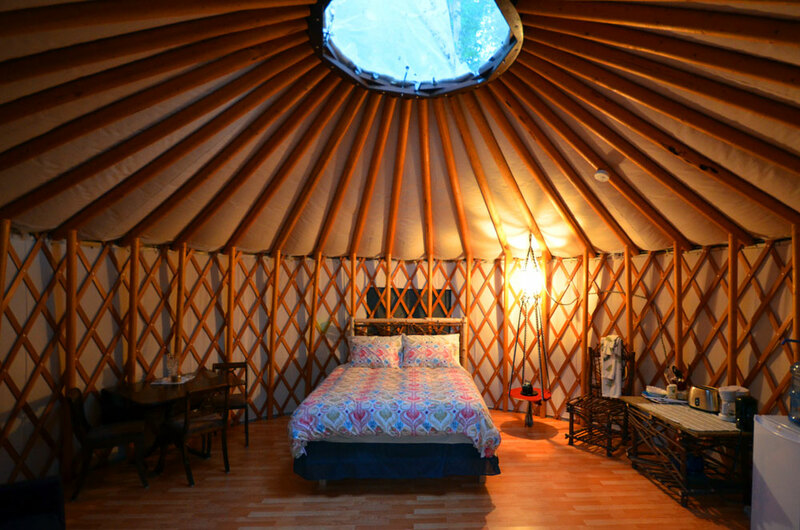 Yes, yurts. The portable living structures one sees on TV, filled with nomads in Libya, or in Toronto, filled with protesters occupying a city park. These camping yurts are luxurious, exotic, even sensuous. The latest in camping tech. They tell me it’s called “glamping”, as in glamour camping. Next we checked out the Ness Creek Music Festival site not far down the road. The two locations are run by the same local group fronted by Gordon Olson, our host. We spent a very comfortable night in a tiny, winterized cabin not much bigger than the queen bed it contained. Certainly much smaller than the yurts back at Nesslin Lake. It’s rustic here, very back-to-the-land. Two bucks will get you plenty of hot water in the bunkhouse coin-operated shower. There’s a communal kitchen building and various forms of temporary lodging scattered throughout the boreal forest. Today it’s peaceful and quiet, but during the four days of the Ness Creek Music Festival, which takes place every year the third weekend in July, 4,000 people will build a tent-city community and party like it’s 1969. The Ness Creek Music Festival site is also the home to the Northern Lights Bluegrass and Old-Tyme Music Festival, and the EMMA International Collaborative, which brings together artists from around the world. Ask for Gordon. He’ll take care of you. If you brought it with you, take it when you go!